Try this French Toast recipe for your next Sunday family meal. This breakfast idea is a baked using banana bread. It's got so much flavor you can skip the maple syrup and just use melted butter on top. The great thing about this being a baked recipe, is you can make lots at one time so none of your guests will be sitting around waiting to try a bite. 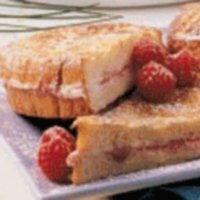 Did you know this dish is called "pain perdu" in France, which means lost bread. They would use stale (or day old) bread to make their French Bread recipes. In a medium bowl, combine flour, baking soda, baking powder, cinnamon and nutmeg. In a large bowl, add eggs, applesauce and oil and beat together until well blended. Slowly blend in the flour to the egg mixture. Mix together well but do not over beat the mixture. Add honey, bananas and vanilla to the mixture. Pour into a loaf pan. If you do not have a non-stick pan, lightly grease and flour the bottom of the pan. Bake for approximately 40 minutes or until a toothpick, inserted in the middle, comes out clean. Let the bread cool for about 10 minutes then remove from the pan. Let the bread cool completely. Cut into 12 slices. Let the bread dry out overnight. The next day, beat together the egg substitute, milk and cinnamon. Dip each slice into the egg substitute mixture and place into a baking dish. Pour any remaining egg mixture over the sliced bread. Dot bread with butter and bake at 350 degrees until slices are golden brown (approximately 15 minutes). Serve warm. Nutrition facts shown below are per serving for this French Toast recipe. The number of serving is noted in the header section below. The serving size is the first item noted on the nutrition facts table. The eggs, egg substitute, unsweetened applesauce and bananas were not used to calculate the Freestyle SmartPoints. The bananas and applesauce were not used to calculate the other Weight Watchers points. You can sprinkle with powdered sugar or butter and use syrup. Try sugar free syrup to keep this healthier. Check out this Italian Pumpkin Strata for something different for your next morning meal. Look at this French Toast Bake Recipe that has my mouth watering. Looks oh so yummy. 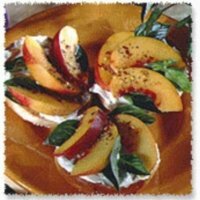 With juicy nectarines and flavor from basil and other spices, this is not your typical morning bagel. 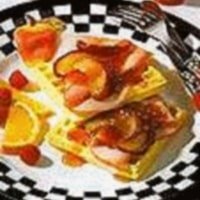 Skip the maple syrup with this waffle club sandwich recipe. 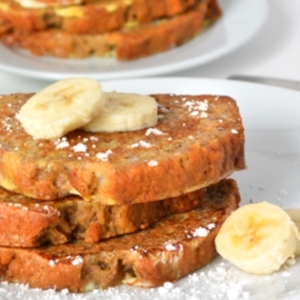 This French toast recipe is stuffed with lots of scrumptious flavors. 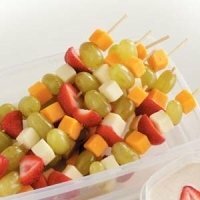 Here's a fun kabob recipe using different cheeses and fruits. Add a few veggies as well to add some additional flavor. Yogurt is not just for breakfast. 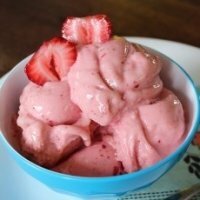 Try this frozen frenzy of flavors. 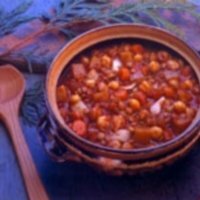 Heat up with this chili recipe. The flavors are sure to warm up your taste buds. Try some of these feel good super foods for your next recipe ideas. Eating before exercise helps fuel your body. Find out what and when you should eat before your next workout. Start losing weight today using these quick yet healthy weight loss tips. No fad diets, pills or supplements required.